WASHINGTON DC, Jul 6 2018 (IPS) - The ocean contributes $1.5 trillion annually to the global economy and assures the livelihood of 10-12 percent of the world’s population. But there’s another reason to protect marine ecosystems—they’re crucial for curbing climate change. • Mangroves are found in 123 countries and territories and are estimated to cover more than 150,000 square kilometres globally. Mangroves buffer coastal communities from wind and waves, acting as a frontline defense against storms and sea level rise. • If the world halted just half of annual coastal wetlands loss, it would reduce emissions by 0.23 gigatonnes, Spain’s total annual emissions in 2013. • Restoring coastal wetlands to their 1990 extent would increase annual carbon sequestration by 160 megatonnes a year, equivalent to offsetting the burning of 77.4 million tonnes of coal. 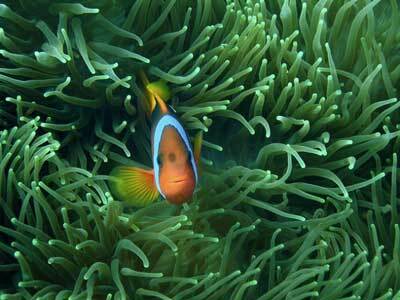 • Creating or protecting blue carbon ecosystems (including through Marine Protected Areas). This includes establishing buffer zones to reduce impacts from adjacent land-use and allowing mangroves to migrate inland in response to sea level rise. • Reforesting or rehabilitating degraded blue carbon ecosystems. • Introducing incentives to create new or protect existing blue carbon ecosystems on privately owned land, including through access to carbon markets. • Ensuring the mitigation potential of blue carbon ecosystems is included in national greenhouse gas inventories.